With over 15 versions (the familiar Diorissimo logo print, fringe beading in colourful patterns, and a patchwork denim bag. You can get this bag in any kind of material. The versatility is truly endless because it can be casual and dressy. 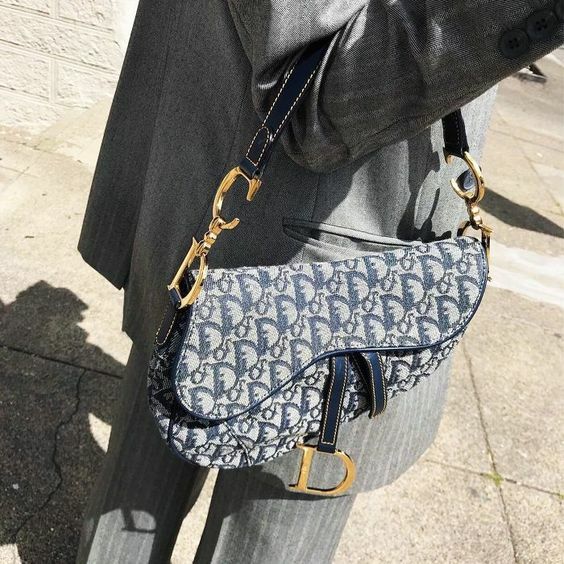 Everything old is new again, and that includes the Dior Saddle bag, which it was reintroduced by Instagram lovers alike sporting their bags in all their glory. And taking note from these designs is the explosion of this style. It seems this classic bag has become cult status and making preloved shoppers very excited. The mass market for this Dior bag is outshining its Lady Dior counterpart. Just like the Fendi Zucca print coming back with a splash, the saddle bag is making people nostalgic for the early 2000’s. Not everything in that era was amazing but this bag is proving that good things sometimes can be old school with a twist. The Saddle bag, one of the French fashion house’s most celebrated pieces, is identifiable for its saddle-like design and signature C and D-shaped gold clasps. The ‘It’ bag of the early 2000s has been brought back for AW18 with a number of different models that pay homage to the original aesthetic while offering a few sartorial changes. This season, the Saddle bag now comes with a large embroidered strap, in line with the house’s 1970s-inspired collection. Traditional colourways sit side by side with more bohemian bags, including all-over embroidered bags with beads and fringes, and patchwork embroidered with beads. "I thought this collection would be an opportunity to revive its timeless beauty," said the designer in a press release. "I consider this icon of the house's recent history the perfect accessory. Indeed, the saddle bag is a bag that is worn in exactly the same way as a shirt or jacket, and it's so comfortable to wear with its long strap that you almost forget it's there. The saddle bag is also practical because it allows you to carry everything you need with you. It's for this reason that I wanted it larger and more robust, but also very colourful, embroidered or with beaded fringe because, like a chameleon, it adapts to all situations." 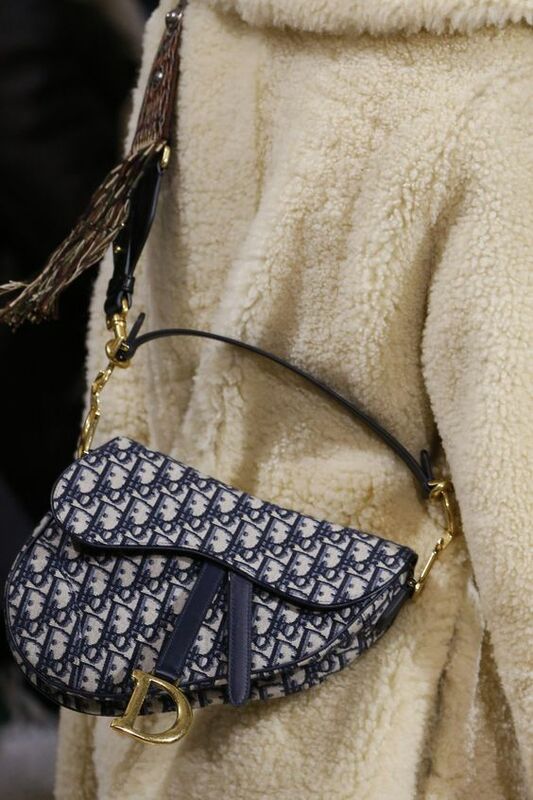 Take a look at some of the highlights from the Dior handbag collection here. What do you think of this cult classic?